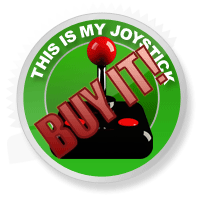 Cities: Skylines Review - This Is My Joystick! The general consensus is that city-building fans haven’t been very well catered for lately. 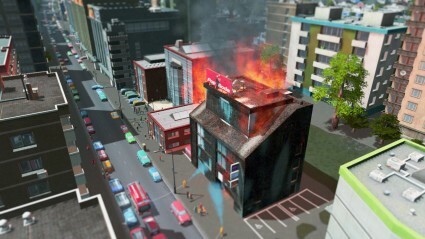 A lot was riding on the 2013 reboot of SimCity to bring things back around, but to say it didn’t succeed would be an understatement. With a technically disastrous launch that was practically unprecedented at the time (although has sadly been matched since by the likes of DriveClub and Halo: The Master Chief Collection), it wasn’t off to a good start. Worse than this were the very unpopular design decisions, including an always-online requirement and cripplingly-small city sizes, which were a departure from what long-time fans of the series held dear. Now the dust and rubble has settled, it’s time for something else to try and scratch that classic city-building itch. Cue Cities: Skylines from Colossal Order, the new kids on the block who aim to create a better SimCity than SimCity itself. The end result isn’t the most highly-polished or fully-featured city builder we’ve seen, but nonetheless a deeply satisfying return to what made the genre so great in the first place. In many ways, you could be forgiven for thinking that Cities: Skylines is what Maxis would have created themselves, had they not travelled down a misguided path. Its core concepts are startlingly familiar, right down to the green, blue and yellow RCI zones you lay down in order to spawn domestic, commercial and industrial buildings, respectively. This makes it fairly intuitive to anyone with past experience, who’ll be able to don their mayor’s hat and jump straight in. One day, son, this will all be yours. This is a good thing, because Skylines has a somewhat lacking tutorial system. A primitive help bar pops up to tell you what each button on the interface does, but you won’t receive much direction on how the game’s inner systems work, or what you should be doing next for your city. At one point for instance, my industrial estate was failing and all of my factories were shutting up shop, and I didn’t really understand why. With a bit of digging and educated guesswork, however, I made sense of it after a while. I’d been focusing on providing higher education and building new office blocks, so there was now a shortage of blue collar workers in the population. A Twitter-inspired social media site called Chirper periodically pops up notifications from your residents, complete with hashtags and all. This is a novel concept, but it’s too limited in practice. You’ll see messages cheering on your choice of renewable energy sources or bemoaning the city’s participation in the oil industry, but they rarely go as far as giving you proper insight into what issues should be tackled, and repeat themselves too often. There is a silver lining to this hands-off approach, however, and it’s that you are truly free to do as you please. Chief amongst these liberating design choices is the map sizes. On founding my first city, I took a glance at the modest square of land afforded to me. “Not too bad”, I thought, “It isn’t huge, but at least it’s a bigger plot than SimCity gave you”. It’s only when my population expanded and my city ‘levelled up’, that I realised the reality of the situation: I could buy more squares to add to my existing one. Eight more, in fact. These map sizes are not obscenely large to the point at which you’d never fill them, but the opportunities they provide are exciting. You could dedicate one square to all of your industry, sewage, transport hubs and coal plants, keeping undesirable noise and environment pollution away from your main city. Conversely, you could make one into a scenic countryside with loads of parks, vegetation and farmland. Rather than have one massive metropolis, you could even opt for several towns networked by transport – a district tool lets you paint over different areas and bestow separate names and policies to each. The level of control you possess over your creation makes it thoroughly engaging. In another direct nod to SimCity, there are a number of colourful ‘heat maps’ which illustrate various statistics, from land value to pollution. You can fully manage your budget to scrimp or spend on various utilities, and enact policies with double-edged sword results – mandatory household energy meters, for instance, which cut down on electricity usage but add a small surcharge per building. There’s just enough micromanagement to give you a feel of power, whilst not being overly daunting or fiddly. Get your geek on – it’s stats time. The city itself is bolstered by a number of simulation models, from the people that roam the streets to the individual service vehicles that are deployed, like fire trucks for responding to an emergency. Everything seems stable enough on the whole, but if I have one criticism it’s that the citizen health systems need dialling down somewhat. At one point early on I briefly neglected my landfills – these filled up and left nowhere for the rubbish to go. Suddenly everyone in the city got ill and started dying, and my doctors’ surgeries and funeral directors couldn’t even remotely handle the load. 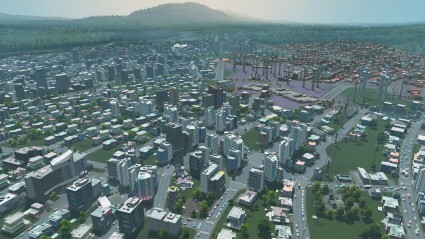 My city was doomed and I had to resort to loading an earlier save. The traffic appears less broken than SimCity’s did at launch at least, but is still one of the more challenging aspects to manage. Thankfully, with a much larger area to play with, you can plan and adapt accordingly with more ease. What’s quite impressive is the water simulation, which flows realistically, reacting to being shored up with dams and sending pollutants downstream when sewage is dumped into it. Sadly, in-game terraforming of the land is not an option. This isn’t the only feature that feels disappointing in its omission – there’s also no day/night cycle, or weather simulation. The selection of building models is just about adequate but would have benefited from a little more variety, too. Thankfully Cities: Skylines has another couple of tricks up its sleeve: a map editor and comprehensive modding support with Steam Workshop integration. Currently the map editor and model import tool let you design your own landscapes, buildings and amenities, but Colossal Order are promising free feature updates and DLC down the line, and as much moddability as they can implement. One aspect which I hope can be brushed up a tad is the visuals. They’re not unpleasant, by any means, but don’t exceed ‘workmanlike’ status. The most enjoyable part is zooming in on your city with the nifty tilt-shift effect and witnessing your little people scurrying around. Panned out, however, details look a little rough. The limited graphical settings don’t help – any seasoned PC gamer will know that ‘On’ or ‘Off’ is not an adequate level of control for anti-aliasing and anisotropic filtering. The SimCity reboot felt like a carefully-crafted (when it worked), self-contained entity which limited its potential by design. Cities: Skylines, on the other hand, is very much a rock-solid framework which is substantial enough as it stands, but has yet to even realise its full capabilities. I look forward to seeing the game in six months or a year from now, when it’ll no doubt be updated with tweaks, new features and have a huge library of mods to choose from. I think this will go a long way towards giving it some real staying power. In its current state, what you get is still a brilliant package. 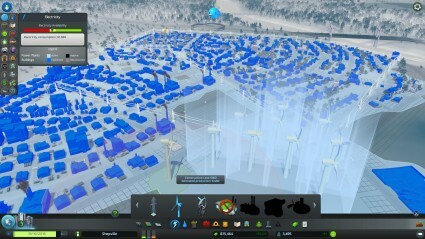 Cities: Skylines is a true city-building sandbox, learning from the mistakes of others and giving its audience everything they’ve been asking for. 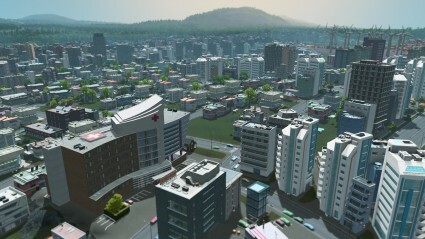 It’s a love letter to veterans of the genre, and an ample reparation for disillusioned SimCity fans.